With the ever-expanding solar industry, one finds more and more internationally operated photovoltaic company such as Gehrlicher Solar, a company from Germany, with subsidiaries and joint ventures on four continents (including France, India, Spain, South Africa, and Romania). Gehrlicher Solar, one of the most experienced photovoltaic companies in Europe, is founded in 1994, that develops, plans, builds, finances, and operates solar power plants for ground mounting and for roofs, from private houses to multi-megawatt systems. Gehrlicher Solar also plans, sets up, and manages profit-oriented photovoltaic funds and private placements for private and institutional investors. As the solar industry evolves from solely-Save Our Planet Solution into multi-billion dollar with long-term profitability industry, services provided by Gehrlicher Solar becomes more and more relevant every day. Director Hague discusses various emerging market opportunities within the solar industry: from PV + storage technology, control technology stabilizing the grid, to the fact that solar is now cost competitive with the coal (cheapest fossil fuels technology), and the fact that solar is a much easier generating-asset to permit and build than any other generating asset. 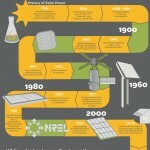 Solar is very reliable and secure asset. 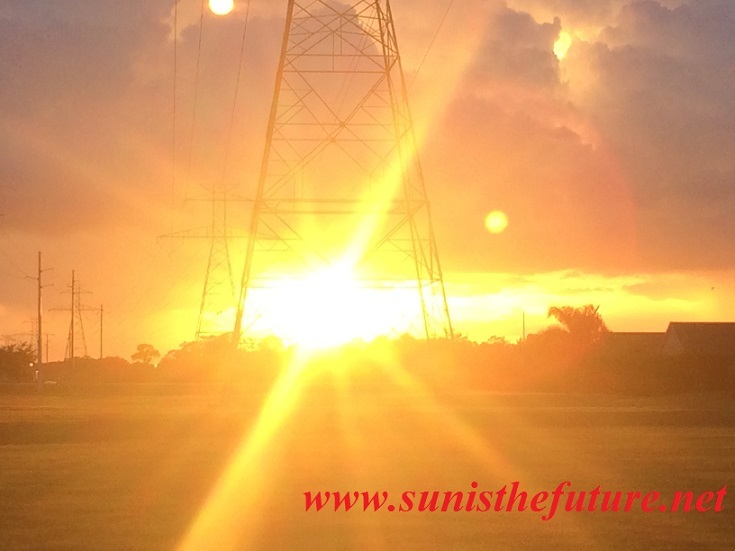 Please feel free to visit http://www.sunisthefuture.net for more on solar energy. There Is Plenty of Sunshine For All of Us! My concerned friends/readers from Midwest (MI and IL) and Canada, I can assure you that there will be plenty of sunshine for you to also become involved with solar energy projects! The sunlight that our solar system is exposed to could either be direct (unobstructed by clouds) or diffused (filtered either by clouds or atmosphere). 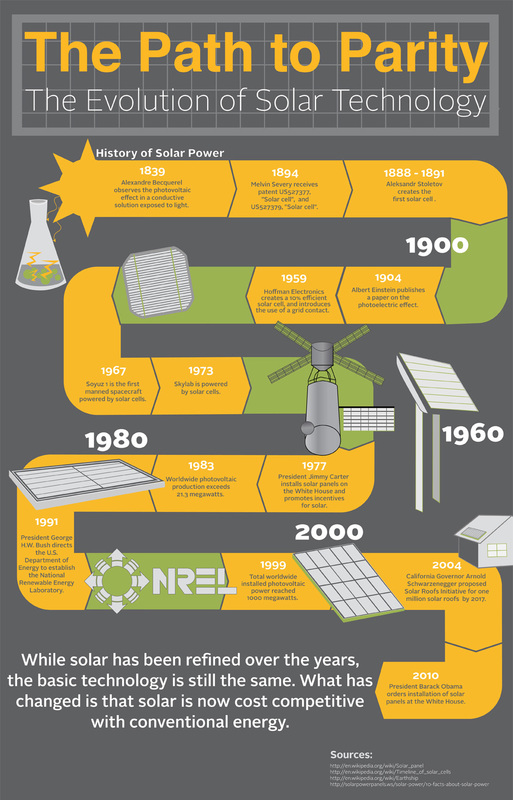 Although the amount of diffused sunlight (caused by cloud) would increase as we head northward, solar technology can use either form (direct or diffused) of sunlight to produce electricity by using a well-designed PV (photovoltaic) system. 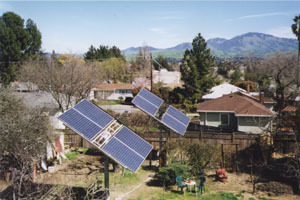 As a matter of fact, besides geographical location, seasons, elevation, and angle of the sun can also affect the usable amount of solar energy. 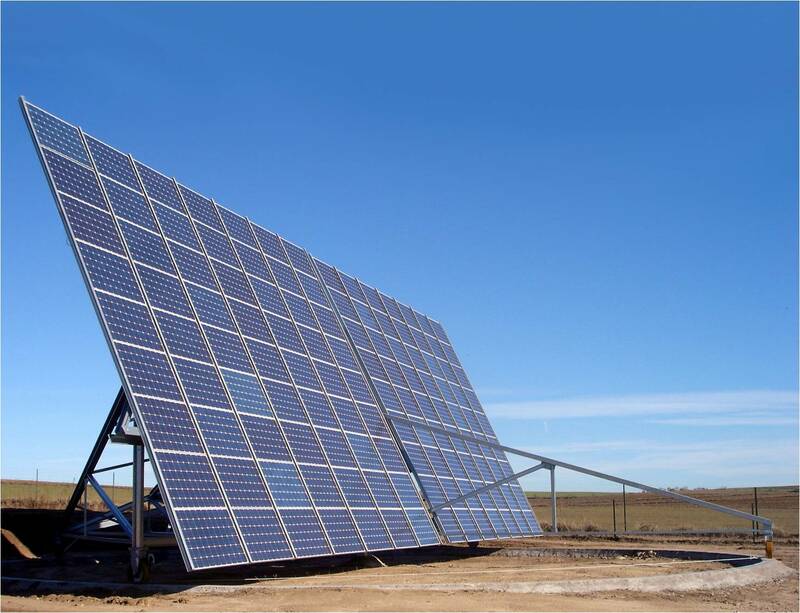 To increase the amount of energy produced, solar tracker (either 1-axis/single axis or 2-axis/dual axis) devices are introduced to orient various payloads (such as PV panels, reflectors, collectors, lenses, etc.) toward the sun. Typically, a 1-axis or single axis tracker has one degree of freedom and changes its orientation throughout the day, while a 2-axis or dual axis tracker have two degrees of freedom that would change its orientation throughout the day and from season to season. At this point, I want to share with you a really cool looking house, the Gemini House/Gemini Haus, that rotates in its entirety and the solar panels rotate independently, allowing control of the natural heating from the sun. 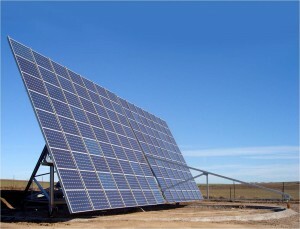 What a great way to ensure that the sun always shine on your photovoltaic array! Gemini House (or Gemini Haus) was designed by Roland Mosl, to combine innovative solar technology and an eye-catching aesthetic. 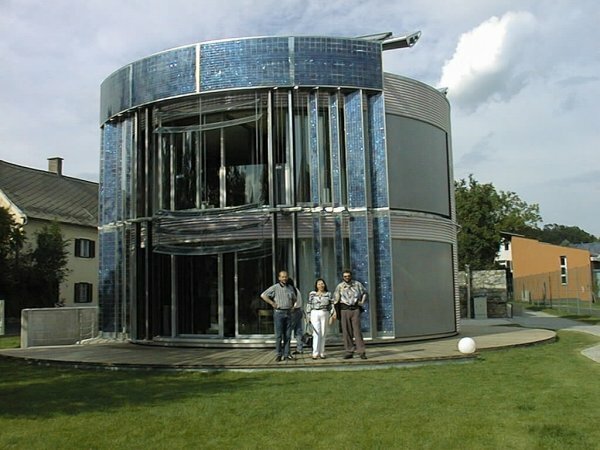 It was the first energy plus house (self-sufficient, and sometimes more) in Austria.